Naypyidaw. Largest city is Yangon. 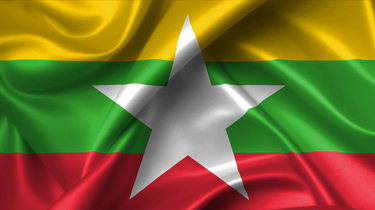 Myanmar has not yet introduced a work permit for foreign employees. However, expatriate employees are allowed to come and work in Myanmar with business visas. Business visas are for business persons who have commercial interests in Myanmar or who intend to do business in the country. This visa allows the visa holder to stay in Myanmar for up to 10 weeks, and it is valid for three months from the date of issuance. For a long stay, a foreigner needs to apply for a Multiple Journey Entry visa. The visa holder is permitted to stay in Myanmar to up to 10 weeks for each visit, and it is valid for either six months or one year. To be eligible to apply for the multiple-entry visa, a foreigner must travel with a business visa with single entry into Myanmar at least two or three times. In addition, an individual must apply for a business visa at an embassy or consulate, rather than on arrival at the airport, because the arrival visa does not count as a business visa for purposes of an application for a multiple-entry visa. Employers and employees must each contribute to the Social Security Fund. The rates, which are applied to employee income, are 2.5% for employers and 1.5% for employees, with a maximum monthly contribution of US $5 per employee for employers and US $3 for employees. These contributions finance benefits for pregnancy, accidents, illnesses, child welfare, old age, death and physical disability occurring outside working hours.